UK businessman William Browder, arrested and then released in Spain earlier in the day, expressed readiness "for more Magnitsky sanctions advocacy". 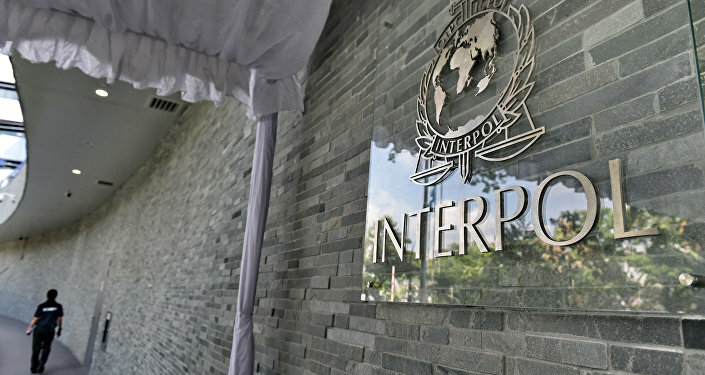 There is not and there has never been an arrest warrant issued by Interpol for UK-based businessman William Browder, the organization said Wednesday, after he was detained in Spain and suggested that the warrant was valid. The Spanish police services reported that UK businessman William Browder, arrested earlier in the day, was released from Spanish police station as Russian arrest warrant had expired. "Good news. Spanish National Police just released me after Interpol General Secretary in Lyon advised them not to honor the new Russian Interpol Red Notice. This is the 6th time that Russia has abused Interpol in my case," Browder said in a tweet. Soon after his release, he reported his return to London. ​Browder said he was in Madrid to "give evidence to senior Spanish anti-Russian mafia prosecutor Jose Grinda about the huge amount of money from the Magnitsky case that flowed to Spain. Now that I’m released my mission carries on. Meeting with Prosector Grinda now." "According to the Spanish National Police the warrant was ‘live’ and was a new Interpol Red Notice," Browder said in a tweet, responding to a journalist who suggested that the warrant was invalid. — Boris Johnson (@BorisJohnson) 30 мая 2018 г.
Browder, wanted by Moscow for tax evasion, wrote on his Twitter on Wednesday that he had been detained by the Spanish police on a Russian international arrest warrant. Commenting on his detention, the Russian Prosecutor General's office stated that it had not received confirmation of Browder's arrest from Interpol, but was expecting it in the coming hours. The Hermitage Capital Management hedge fund, which he previously headed, does not have any additional information regarding the detention of its CEO William Browder in Spain, the fund's spokeswoman told Sputnik. "We do not have any additional information at the moment, we know just the same thing as you do," the spokeswoman said. In December 2017, Moscow's Tverskoy court found Browder, once the largest foreign portfolio investor in Russia, guilty of tax dodging and sentenced him in absentia to nine years in prison. Browder's business partner Ivan Cherkasov was sentenced in absentia to eight years in prison. The investigation estimated the total damage from the actions of Browder and his business partner at 3.5 billion rubles. In 2013, Browder had been sentenced to the same term in a separate case, but the aggregate term is the same nine years of imprisonment. In late October 2017, a group of 17 members of the European Parliament sent a letter to Cyprus, asking the country's government not to cooperate with Russia on the latter's investigation into fraudulent investment schemes involving offshore assets that Browder used when he was the head of the Hermitage Capital. Several weeks prior to when the letter was sent, Browder himself filed a request to a court in Cyprus asking an emergency injunction on the transfer of any data about his activities to Russia.